If you’re looking for a style icon who’s elegant yet effortless, and classy yet casual, look no further than Kate Middleton. Every time Duchess Kate is out and about, she unsurprisingly looks like a fashion icon. Yet, it doesn’t seem like she’s trying too hard to be our clothing inspiration (but can we talk about her stylish hat collection) – especially when you take a look at her repeat-earrings (which are Annoushka pearls combined with hoops from Kiki McDonough). We caught on to the fact that since 2012, Kate has been IN LOVE with this one pair of earrings. Then again, who wouldn’t be?! They clearly go with everything. 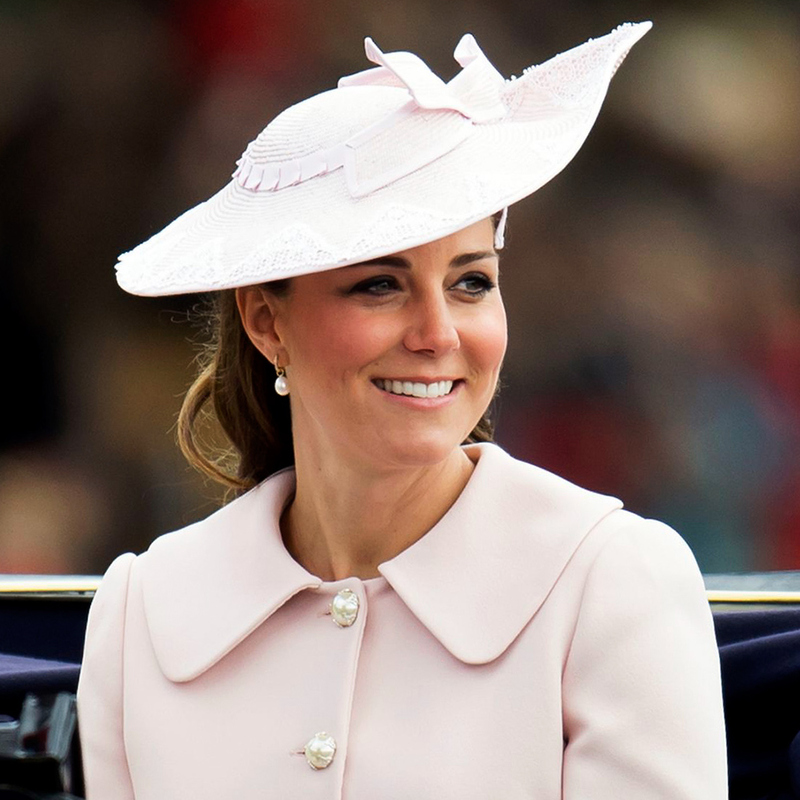 Kate looks so chic in her pale pink outfit. As for the earrings, they only add to the effect. First and foremost, Kate is wearing an athletic jacket with her title on the back. (Where can we get one of these?!) 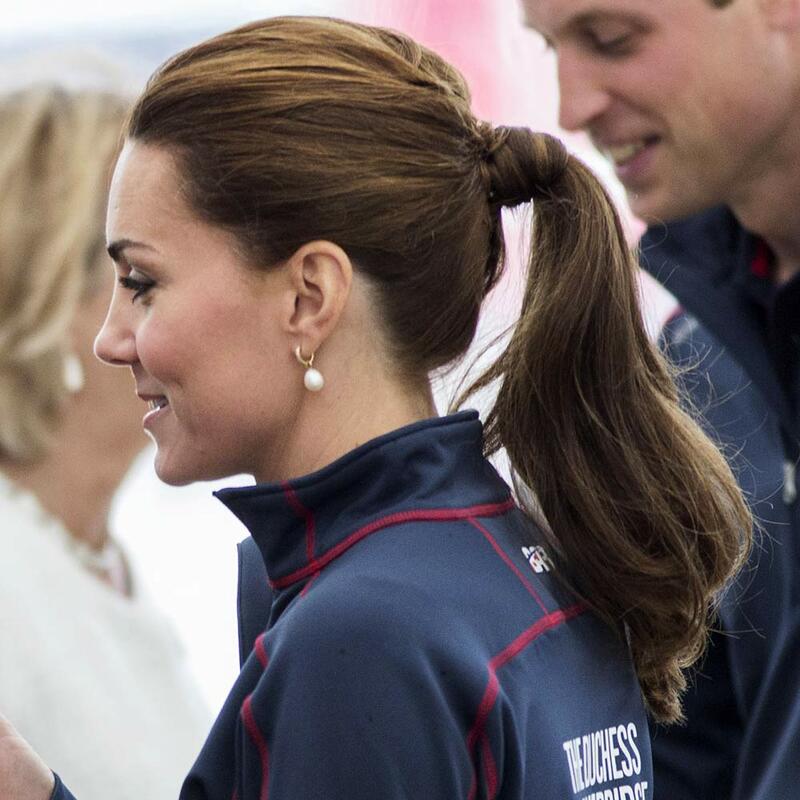 And secondly, there are those earrings again – adding a touch of sophistication to Middleton’s casual look. Now, where can we get our hands on some droopy pearl earrings?